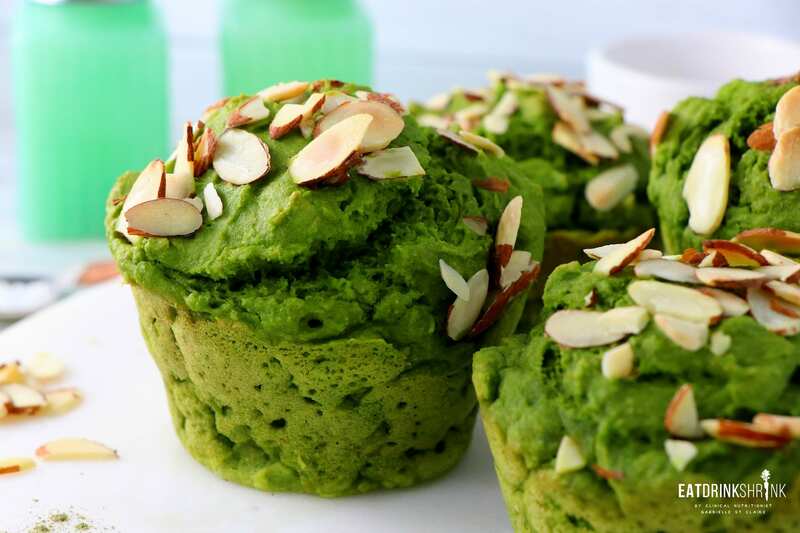 Vegan Green Machine Muffins - Eat. Drink. Shrink. Out of all the baked goods to create, muffins are never my go to. 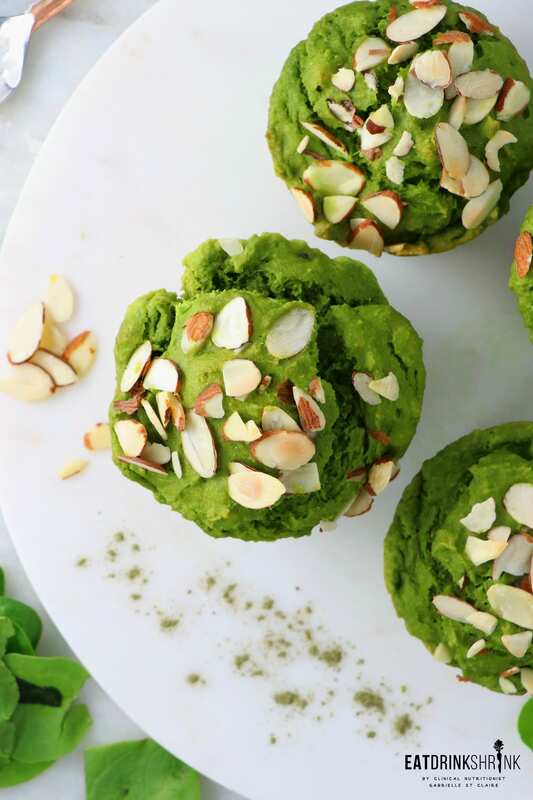 Perhaps because in many ways they are considered a dessert and it’s hard to create a healthy option that doesn’t compromise the whole idea of a muffin.. 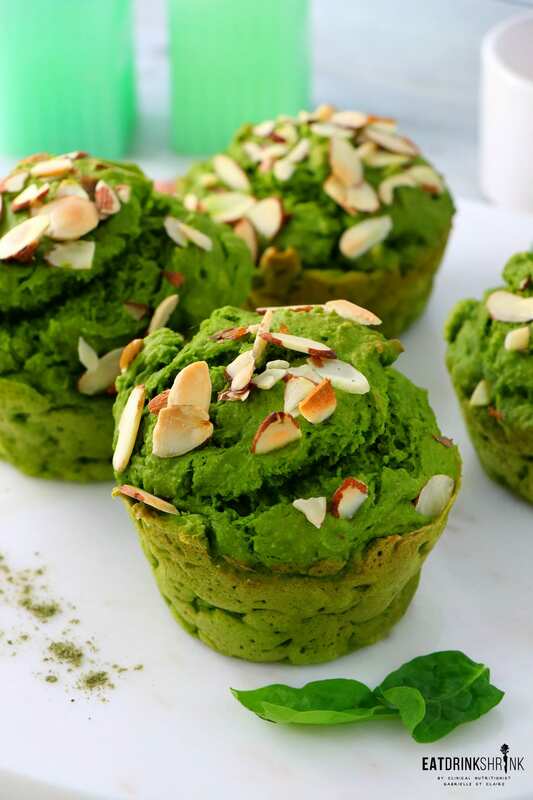 In hopes to keep the muffin recipe the most nutrient dense I could, I was nervous as to what the flavor would come out like. Surprisingly, these came out really good! 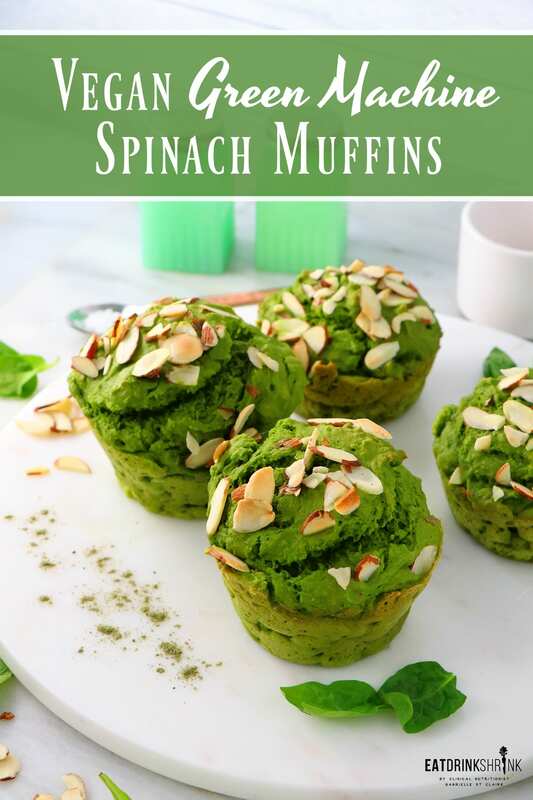 The color is gorgeous as expected, it packs spinach, you can throw in green powder for more nutrients, and it even has avocado to give these muffins the most buttery like texture!! 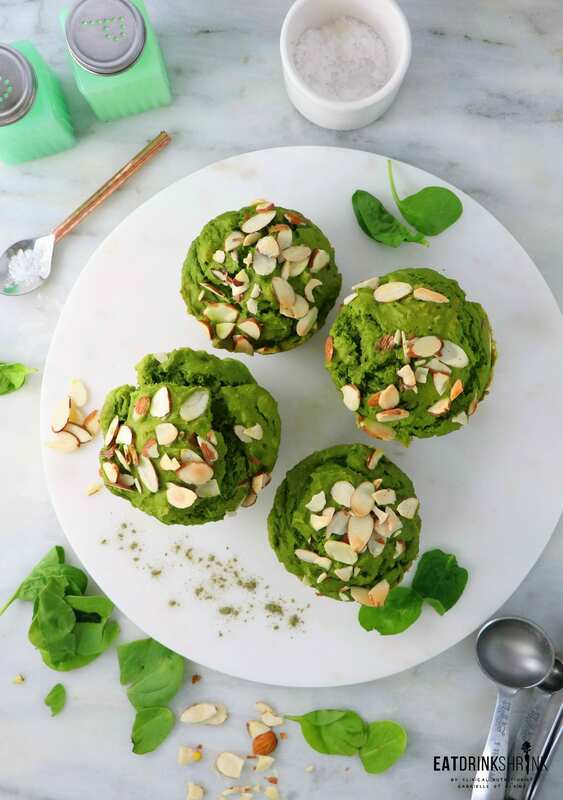 If you’re searching for a modern nutrient packed baked good, these vegan Green Machine Spinach Muffins are it! Preheat oven to 350°F and line muffin pans with paper liners. 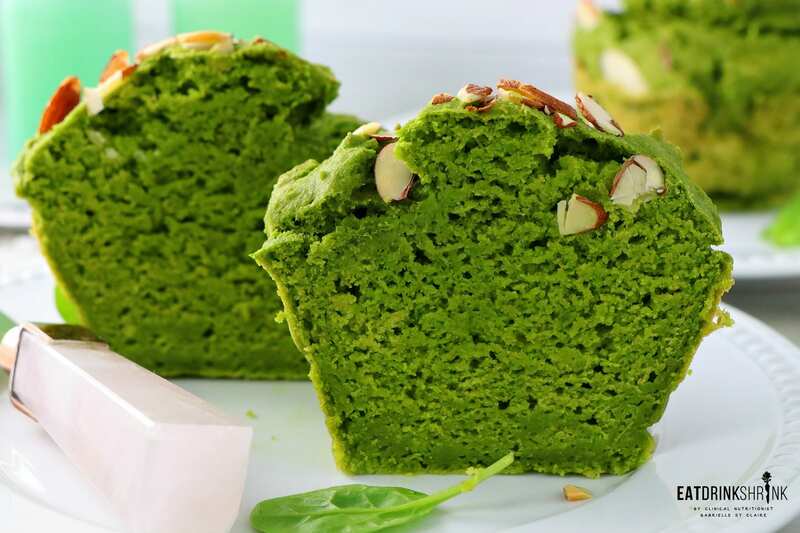 Whisk together dry ingredients in a large bowl: flours, baking powder, baking soda, green powder, and salt. Set aside. 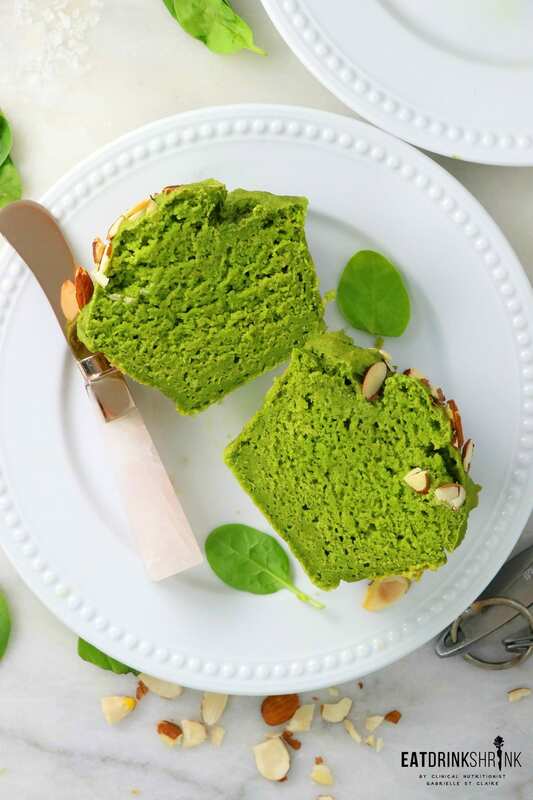 In a blender, place melted coconut oil, room temperature almond milk, almond extract or vanilla, maple syrup, avocado and spinach. Blend on high for about 30 seconds or until completely puréed. 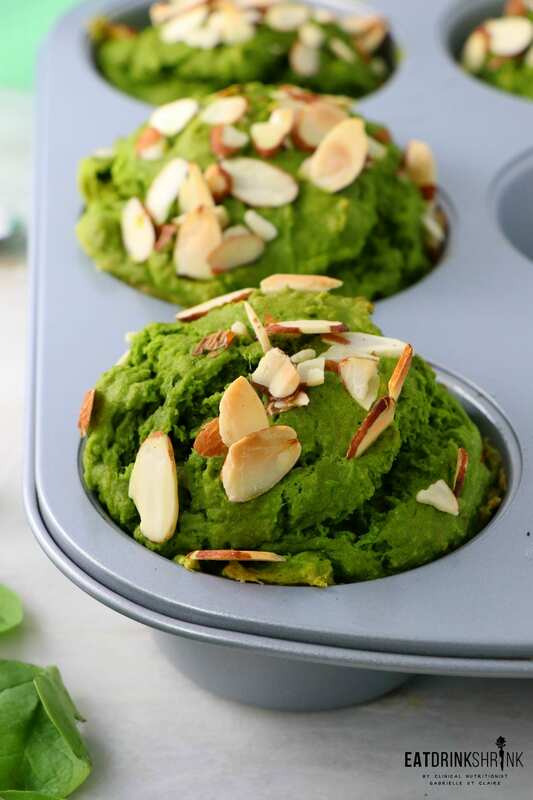 Fill muffin cups about 3/4 full, top with slivered almonds, and bake 18-20 minutes or until a toothpick inserted into the center comes out clean.